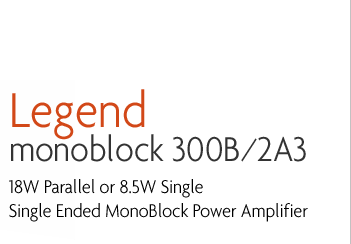 The new Legend Series MonoBlock: modestly priced, exceptional value and loaded with quality. 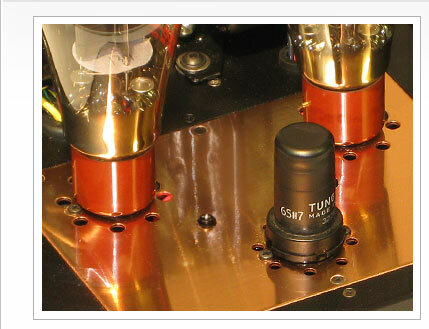 The sound is reserved for customers seeking zero feedback, single ended triode amplification! With both 8.5W and 20W versions available this product is slated to become a Legend in its own time. The Legend Series Monoblock Single Ended amplifiers employ a 6SH7 driver tube wired in a pentode configuration to successfully drive a Parallel or Single Triode 2A3 or 300B tube. It's the ultimate in configurability for anyone serious about SET amplification and is a class amplifier - a Legend in it's own right! 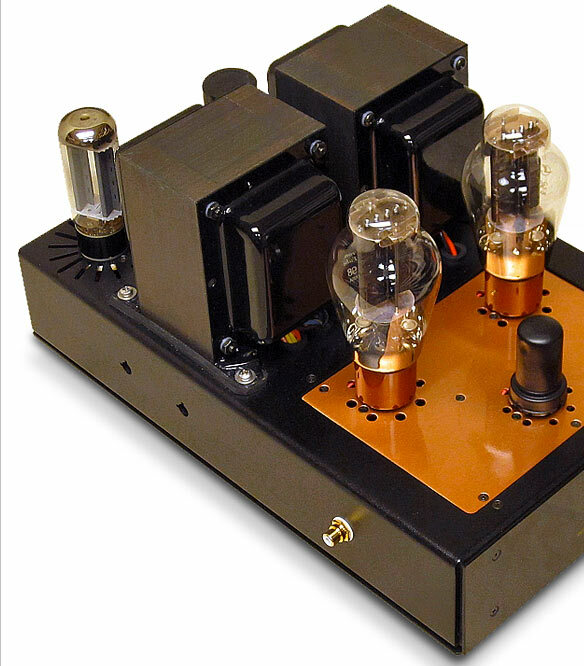 The Legends deliver that gorgeous zero feedback Single Ended triode sound. Simplicity is the key to the circuit of the amps and targeted at higher efficiency speakers they provide remarkable sound quality to rival the best of SET amplifiers yet do this at a real world price. A remarkable achievement! 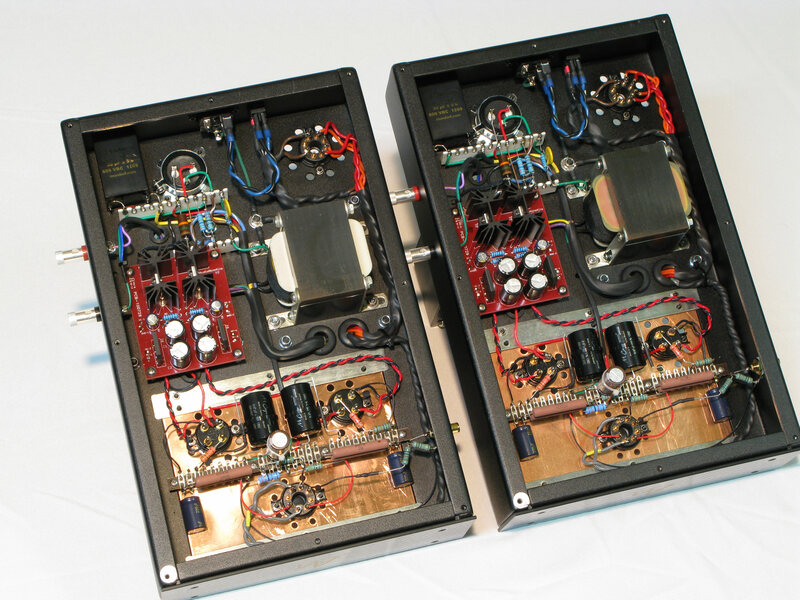 The MonoBlocks are shorter in length than our Interstage amplifiers. 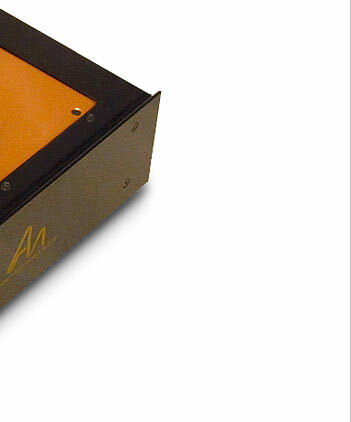 They are a pure power amp with approx 2V sensitivity and ideal when mated with our L2 or L3 Pre-amplifiers. The classic 5U4G rectifier tube smooths the AC for the power supply. DC filaments and a large 300MA power supply choke installed inside the chassis assures dead quiet operation! Download this detailed underside shot here. See the Massive Choke installed inside the chassis and the latest version 300B DC filament Board with mounted Heat sinks! The Lgend MonoBlocks now ship with the new copper insert plates for both single and parallel 300B configurations! In addition we have an option in silver which also looks great. Along with that, we have standardized on the new high quality black teflon valve bases for both 4 and 8 pin. The sockets are the same phyical size and are keyed so that the tubes can only be inserted the correct way.  The Audio Note traditional venting pattern is used. The plates are coated in a high gloss clear coating so they are protected from scratches and will never change color. 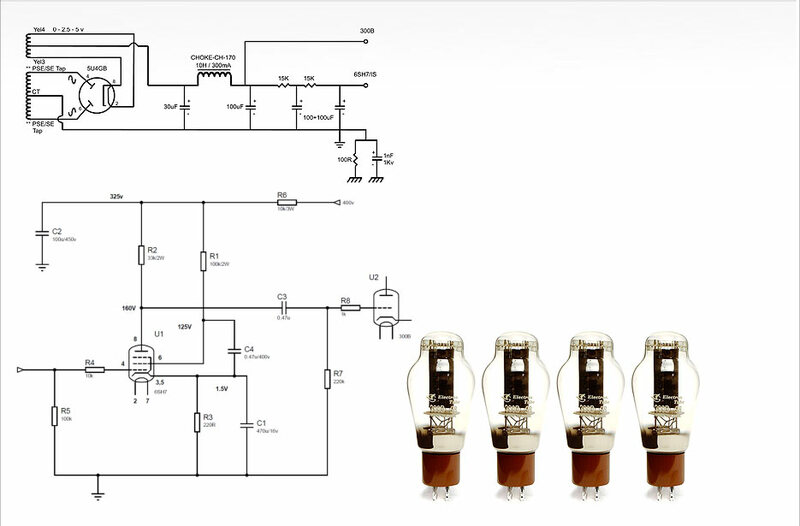 We provide easy to follow, step-by-step wiring instructions with our assembly manuals. Our kits come with everything you need to produce a fully working Legend SET amplifier that will provide year of musical enjoyment Just a soldering iron and a table, and you are ready! Below is an overview of the Legend assembly process. Start by mounting the CHOKE inside the unit and use countersunk screws to secure to the chassis. Once mounted you then will install the Filament board heat sink and power supply ceramic tag strip inside the chassis. 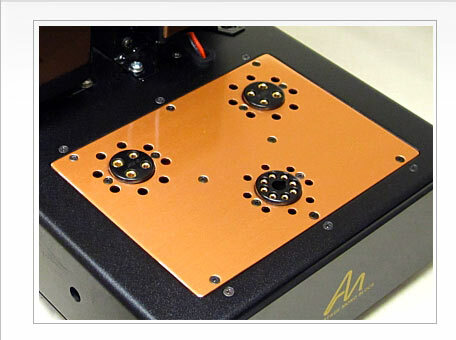 Install the large grommets for the chassis and mount the Mains and Output transformers on the top of the chassis. You will start to see the amplifier taking shape! Once the mechanical install is completed you install the power supply valve base & external capacitor 100+100. The IEC section is nice and easy with pre made twisted cables - follow the expert wiring diagrams to layout your power supply wiring. Then you start working on the Filament Board - this section takes AC from the Mains and converts to DC for the 300B filaments! Finally you can start working on the Front insert plate that you can do outside of the amplifier - once this is complete, you install the insert plate inside the chassis mounted on the tang strips and prepare for the final inter-wiring steps - connecting Filament and grounds & HT! We do a series of ohm checks to make sure all the wiring checks out. Follow our power up guide which takes you step by step through the process and ensures filaments start and HT voltage check out. With a few DC voltage checks followed by an AC signal amplification test you can be assured your amplifier is ready to go. Any problems during the build and you can contact us for support and debug assistance. The Legend Power Supply has been designed for ultimate sonics - lightweight and snappy! Our new T-195 Mains transformer supports taps for both single and parallel configurations. The classic 5U4G tube rectifier circuit sees a 30uf Mundorf PS cap mounted inside the chassis along with a monster 300ma choke to smooth the rectified AC. A single 100+100uf (35mm diameter) Mundorf capacitor stands solo at the back of the chassis and steps the voltage down for the 6SH7 driver tube - the ultimate in simplicity! Two .47uf film caps are installed inside the chassis along with about 12 resistors. The 6SH7 is configured in a pentode configuration in the Legend MonoBlock. Our Expert Wiring Guide shows you how to build your Legend like a pro! Download it here. THIS PRODUCT is temporarily unavailable. Please contact ANkits for further details. The Legend sounds beautiful, the amp was used over the weekend but with LP's it's what you hear that was never spotted before, there is this dimension of sound a separation of instruments and what is more amazing is you can tell the difference between string double base and say fender base! the vibration of the string and its continuing decay is heard instruments are placed and distinguishable. Yes I'm chuffed. Have completed the build of the Legends and have been listening over the week, I have got what I had hoped for,big effortless sound quality with firm bass definition and individual instrument placing,vocalists are superb with a large image between the speakers, close your eyes and the stage widens even more! After Christmas will be coming back for the L3. I have finished both amps and they are now in my main room playing. Very, very nice. The bass is amazing. Tight, well controlled, just like being in front of a bass man in a club! Wow. Everything else is working beautifully even though it has not had a chance to settle in, as in capacitors, transformers and tubes! I can hardly wait! The sense of air around performers, detail, speed and sheer punch is simply amazing! I am seriously looking forward to what it will sound like with a few hundred hours of run time! Thank you Brian for this little gem you're offering! It's a keeper!